Beautiful turn-key home backs to open space and trails. Enter into an impressivetwo-story foyer, open formal living/dining space and study, The large kitchen featuresgranite, SS appliances, kitchen island, and eat -in space that opens to deck andbackyard with lovely views. Upstairs you'll find a loft perfect for playspace or additionalentertaining, two guest bedrooms, full guest bath and a spectacular 29x15 master retreat withsitting area, dual-sided fireplace, and 5-piece master bathroom. Numerous upgradesinclude built-ins in master closet, pantry, office & mudroom. A 3-car garage, 2 sump pits with pumps, and a ventilation system are additional pluses. The walkout basement is awaiting your finishing touches or is perfect for additional storage. Fully landscaped exterior with pear and apple trees. 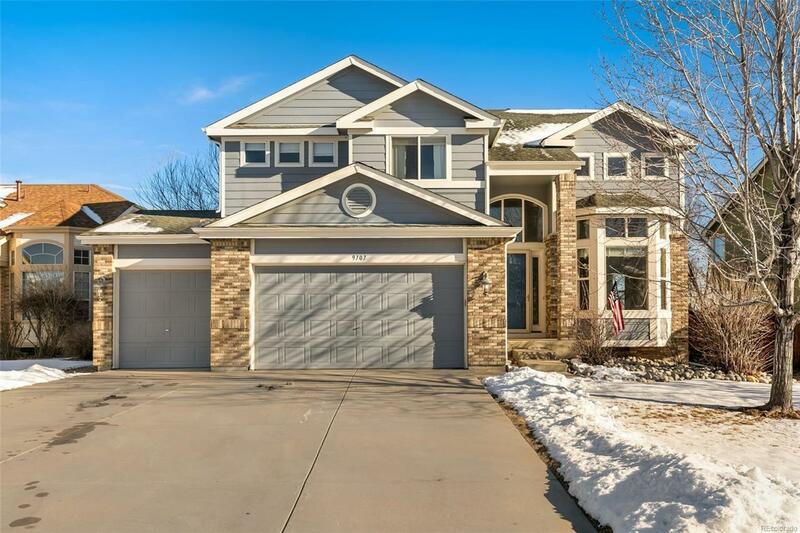 Fantastic locationclose to numerous park, trails, Colorado Hills Open Space, and Standley Lake. Thishome is a must see!